Although, when I traveled there I drove my Ferrari. This monumental mountain range in northeastern Italy is 1 of the world’s most beautiful playgrounds for outdoor adventurers, from winter skiers to summer hikers, bikers, mountain climbers and more. But equally fascinating is its cultural heritage. But though road signs are posted in 2 or 3 languages, the otherworldly beauty of the Dolomites needs no translation. At the hillside Bunker Museum , descend into a Cold War bunker where installations trace the South Tyrol region’s history through fascism and the fight for autonomy. Delve further into the past at the Forte Tre Sassi, a mountaintop museum in a disused fort that examines the hardships that World War I soldiers faced, and the fierce battles fought around the mountain passes. Those with more time can also visit the area’s World War I open-air museums to hike through the trenches and tunnels used in tragic battles between the Italian and Austro-Hungarian armies. Or, if driving into the region from the west, stop at the imposing Forte di Fortezza, a labyrinthine fortification spanning nearly 50 acres that was constructed by Austria out of fear of the French in the 19th Century and has now opened as a museum. 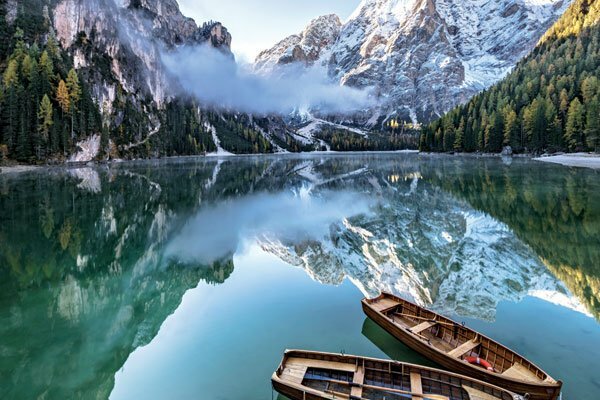 A dazzling spectrum of blues and greens glimmer from the chilly depths of Lago di Braies, an alpine lake nestled deep in the mountains. Hike the 2.5-mile trail that hugs the jewel-toned lake, where colors shift in the sunlight from milky emerald to brilliant sapphire, with an ever-changing mountain backdrop beyond. In the Summer months, polished wooden rowboats are available to rent by the hour, June through September, Winter visitors can snowshoe through the snowy scene. High above the town of Bruneck, dine on traditional Tyrolean cuisine at Oberraut, an alpine chalet with homey wood-panelled dining rooms and dirndl-clad servers. 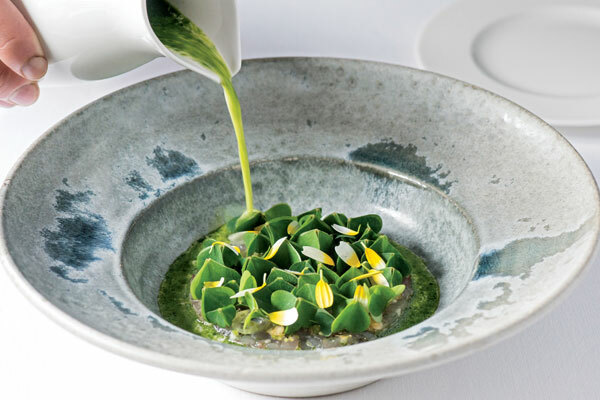 The menu features dishes made with products grown on the property; for instance, delicious bread dumplings called canederli are made with meadow herbs and served with fresh greens from the garden. Or book a table at Osteria Garsun, a family-run restaurant with a hearty set menu of Ladin specialities, which recently included panicia, a vegetable-and-barley soup, and casunziei, or house-made half-moon ravioli served with melted butter, ground poppy seeds and Parmigiano cheese. Save room for 2 rounds of dessert, including warm apple strudel and a bracing shot of grappa. 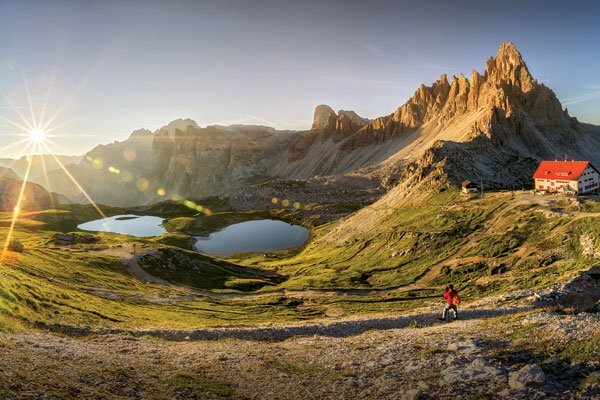 One of the most spectacular hikes to tackle in a half-day is the six-mile circumnavigation of the Tre Cime di Lavaredo, three distinctive mountain peaks that loom large along the entirety of the trail. The stony paths are relatively easy and well-marked, making this one of the most popular Dolomite hikes. The trail begins at Rifugio Auronzo and loops around the rugged spires, past meadows of wildflowers, small lakes and a few rifugi (mountain huts). There is ample parking at the trail-head. 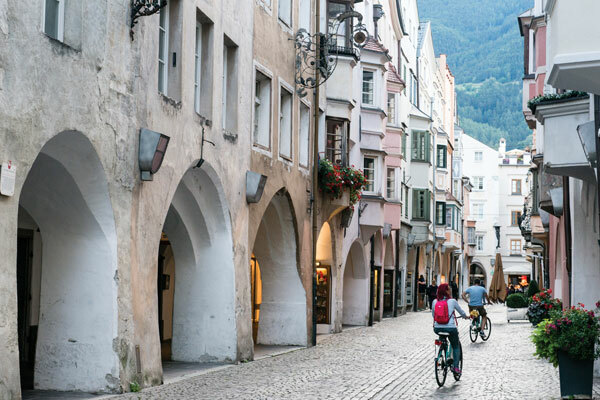 When it is time to refuel, head to Pur Südtirol, a grocery shop and cafe where everything from the yogurt and cheeses to ripe Summer peaches comes from the surrounding territory. Gather a selection of picnic supplies, perhaps some speck, graukäse, apple cider and a loaf of crusty rye. Or order lunch at the cafe, which offers fresh salads and daily specials, like cheesy knödel on a bed of chopped cabbage. After scaling his first summit at the age of five, Reinhold Messner went on to become a famed mountaineer — the first to summit every mountain over 8,000m. 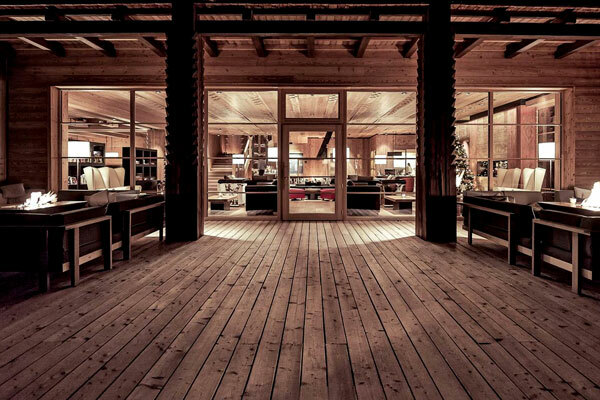 Now in his 70s, Messner has founded a series of museums in his native Dolomites. 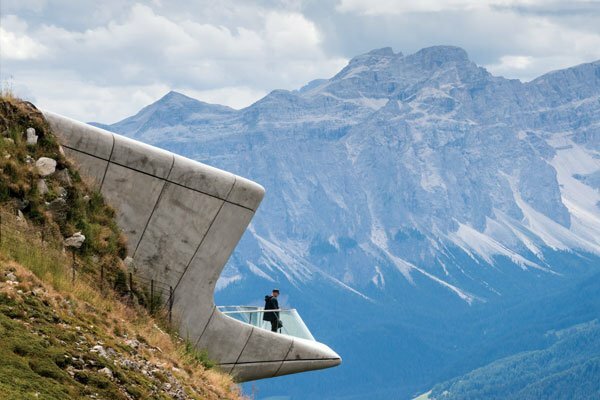 The most recent, the Messner Mountain Museum Corones, is a podlike complex designed by Zaha Hadid atop Kronplatz, elevation 7,500 feet. Ride the rope-way to the summit to admire sky-high views, then tour the museum’s exhibits dedicated to the history of mountaineering and its pioneers. Afterwards, meander to the meadow where a herd of horses graze, or ascend the peaks’ via ferrata, one of the protected ‘iron path’ climbing routes with steel cables that aid rock climbing throughout the Alps. 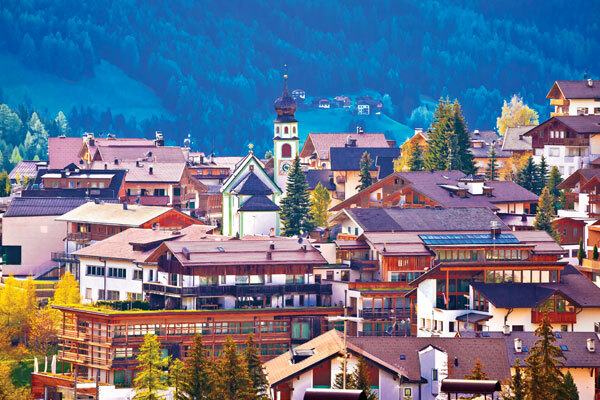 Michelin stars hang over the Alta Badia, a beautiful valley dotted with polished resort towns. In the well-heeled village of San Cassiano, a fleet of Porsches park outside the Hotel Rosa Alpina and its acclaimed restaurant, St Hubertus, which last year earned a third Michelin star for Norbert Niederkofler’s haute mountain cuisine. Down the road at the Ciasa Salares hotel, Matteo Metullio, 30 anni, a rising star chef , has caught the attention of the culinary world. Chef Metullio earned a 2nd Michelin star last year for his game-focused cuisine at the hotel’s La Siriola restaurant. After a smooth landing, ride the adrenaline wave back into the mountains aboard a cardinal-red gondola that ferries riders from Ortisei to the top of Mont Sëuc. This summit, with an elevation of over 6,500 feet, offers a sweeping panorama of the Alpe di Siusi, the largest alpine plateau in Europe. Beyond the plateau’s meadows rises a spectacular series of mountain peaks, including the rugged pinnacle of Sassolungo and the flat-topped Sasso Piatto. From here, you might hike or cycle through the green meadows. 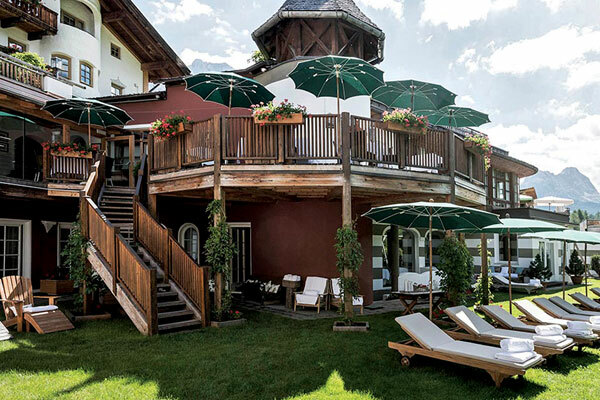 Or simply settle in at Ristorante Mont Sëuc, where the weissbiers are cold, and tables on the outdoor terrace offer front-row seats to one of the finest Dolomite views. 2. 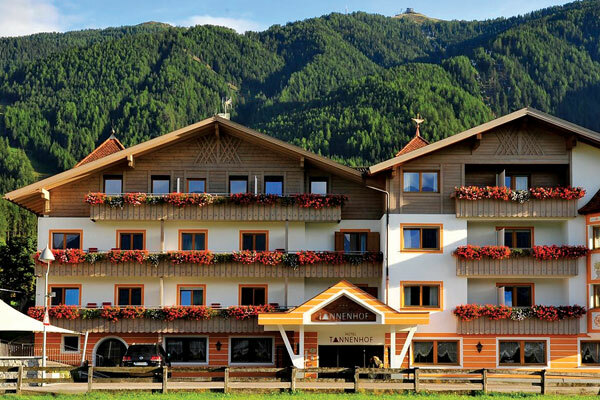 The family-run Hotel Rosa Alpina is a premier luxury property in the region with a 3-Michelin-starred restaurant, exclusive spa and 51 mountain-chic rooms and suites. Strada Micurá de Rü 20, San Cassiano; rosalpina.it. I have been there, it is magnificent!